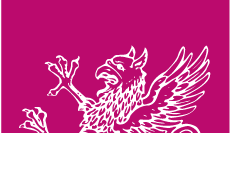 Each year, a number of Downing’s graduate and undergraduate students take part in the College’s fortnight-long Telephone Campaign. It is a vital aspect of the College’s Development Programme. We are proud to have a team of excellent student callers as our ambassadors. Our students always have a fantastic time speaking to Old Members about current College life and they love to hear your stories about your time at Downing. The team of callers updated alumni with the latest news from Downing and any recent developments. They also discussed ways in which you can help us to safeguard the future of the College and to fulfil our core mission to provide a world-class education to the students with the most potential in each subject, whatever their means, social background or nationality. The students had conversations with 600 alumni and some are involved in our US calling campaign, which takes place in December. It is always a pleasure to see the overwhelmingly positive response to our telephone fundraising campaigns and the generosity shown by our alumni. In last year‘s campaign, nearly 300 gifts were pledged to the College in support of our students, our buildings, the academic life of the College, and the wide range of extracurricular pursuits that enrich our students’ lives through societies, cultural activities and sport. The financial challenges facing the College have never been greater since our foundation in 1800. Every gift matters, so we ask that all Members who feel able to do so consider supporting Downing either in our Telephone Campaigns or by contacting us direct.